On Wednesday 31st October, The Jack Brockhoff Child Health & Wellbeing Program celebrated its 10 year anniversary. 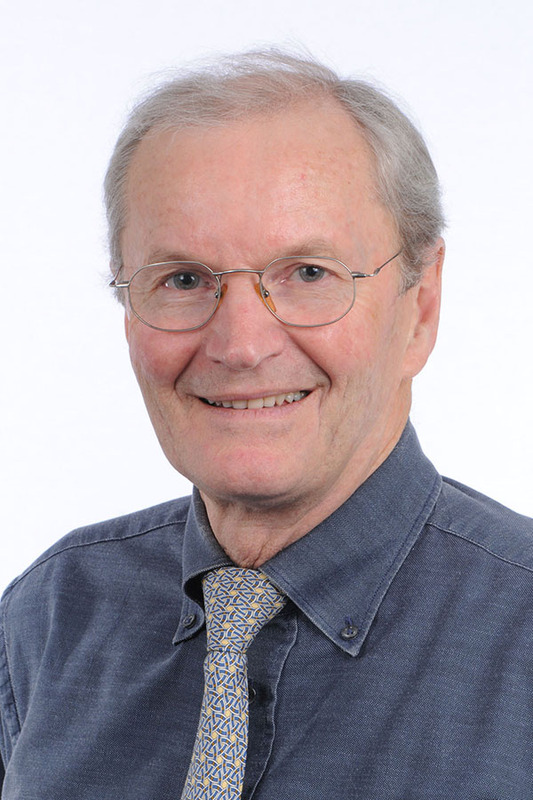 The Jack Brockhoff Child Health and Wellbeing Program is part of the legacy of Sir Jack Brockhoff who, through his generosity, established The Jack Brockhoff Foundation. The Foundation’s purpose is to provide philanthropic support to organisations whose activities are designed to have a positive and enduring impact on the health and wellbeing of communities. The Foundation awarded the Jack Brockhoff Centennial Grant to the Jack Brockhoff Child Health and Wellbeing Program in 2008 for a 10 year funding period from 2009-2018, making a substantial contribution to long term human resource investment and enabling development of novel and important ways of working to promote child health and wellbeing. Professor Terry Nolan opened proceedings followed by a brief account of the achievements of The Jack Brockhoff Child Health & Wellbeing Program over the last 10 years by Program Director, Professor Lisa Gibbs. 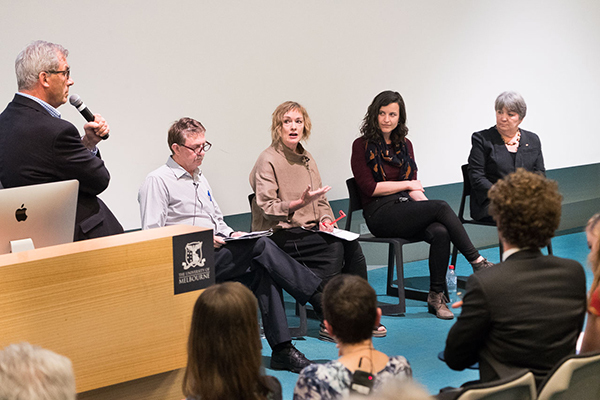 Professor Rob Moodie, Roger Pell, Donna Chesters, Jillian Dent, Anne LeadbeaterWe also heard from our young co-researchers who were part of the National Child and Youth Forum. Being part of the National Child & Youth Forum from Brockhoff Child Health Program on Vimeo. 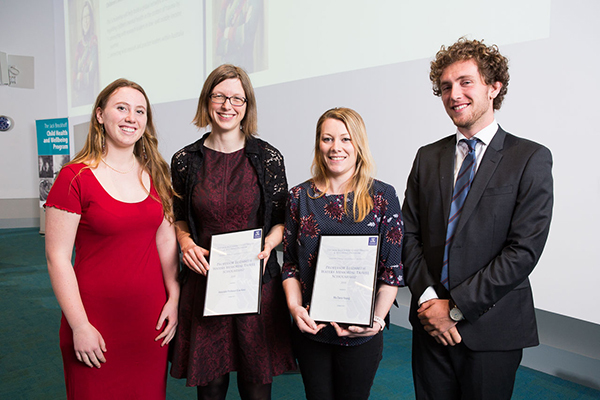 Professor Robin Marks from The Brockhoff Foundation gave a response followed by the awarding of the Professor Elizabeth Waters Travels Scholarships by Lara and Charlie Joyce. 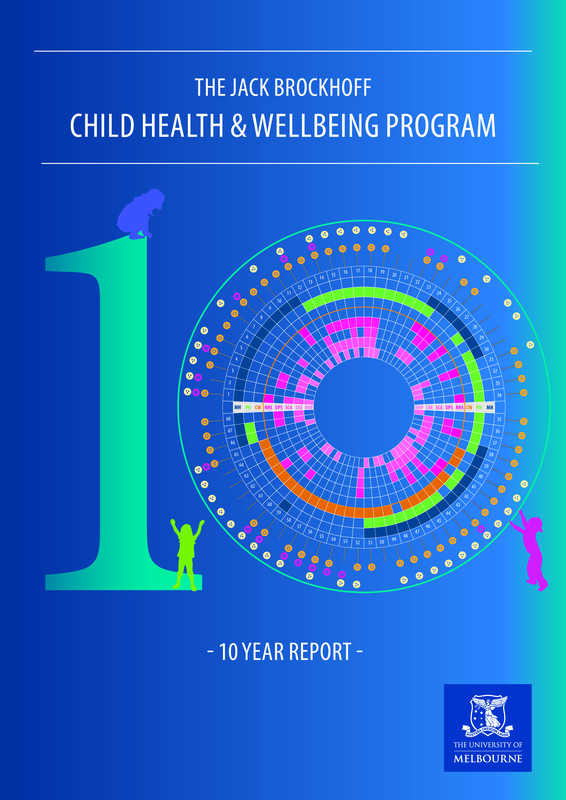 For more information about what The Jack Brockhoff Child Health & Wellbeing Program has achieved over the last 10 years, take a read of our 10 year report.